With just one day, you can make a world of difference in a child’s life. The difference between hungry and happy. The difference between a grimace and a grin. All it takes is one day’s worth of wages to make that kind of difference. One day like any other. One day of compassion. One day of sharing. One Day To Feed The World. It’s a simple phrase, even an obvious one. Standing on a hillside overlooking Haiti’s nearly destroyed capital city, the phrase “We Need Help” is painted on a piece of cardboard in the rubble and feels as accurate now, six months after the earthquake, as it did then. Even though money poured in from all sides (remember the $10 donations to the Red Cross via text message? [Convoy of Hope also took $10 text message donations.] The telethon with every celebrity ever known? ), it seems like nothing has happened – as if this tiny half-island nation has somehow become a HOPE-free zone. “We Need Help” Simple because of its directness and obvious because, well, it’s spray-painted in the aftermath of the January 12, 2010 earthquake – one of the largest natural disasters to ever affect the Western Hemisphere. “We Need Help” But how? How can we even begin to help? How did it get this bad? And, perhaps most pressingly, where is God in all this? Have people forgotten about Haiti and the need? Have they forgotten about the many children who need food, shelter, and a school? Convoy of Hope is still making progress in Haiti – they were there before the quake …and have stepped up efforts since …and will continue. 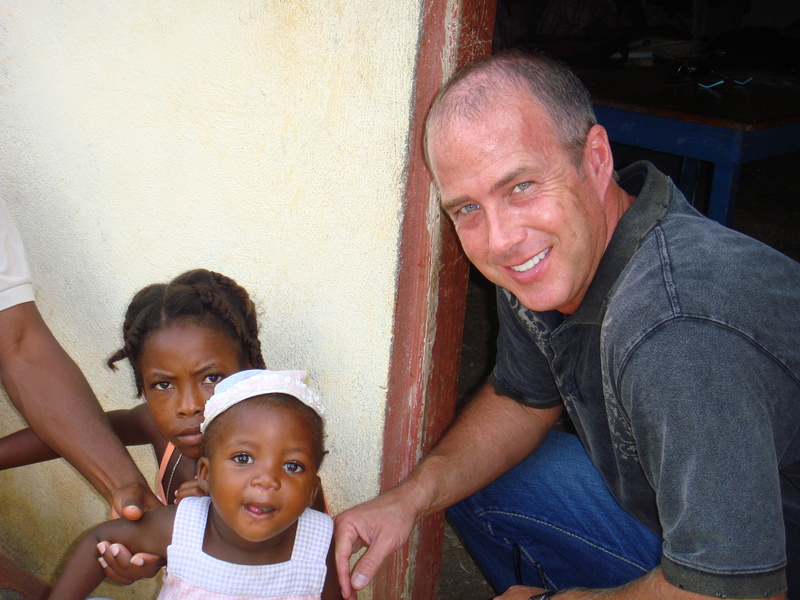 Relevant Magazine is partnering with Convoy of Hope to build three schools in Haiti. Schools where children will be receiving nutrition and education. Haiti has had an urgent crisis, and the world responded. We now need to look ahead and help Haiti in its long-term recovery. It’s impossible to read about Haiti and not want to do something. The question is: What’s truly helpful? Education is the future of Haiti and yet it’s one of the most overlooked areas of aid. RELEVANT and Convoy of Hope are rebuilding three schools that were destroyed after the earthquake. All donated money will go directly to the rebuilding efforts, which will be done by local workers. To learn more about this effort and to offer your donation, visit our donate page. You know by now …that I am about the CAUSE. Reaching out to those in need …yep that’s the CAUSE I’m talking about. …even here in America go to bed hungry. It makes my heart ache. Convoy of Hope’s One Day To Feed The World is a united act of compassion to help the poor and suffering. 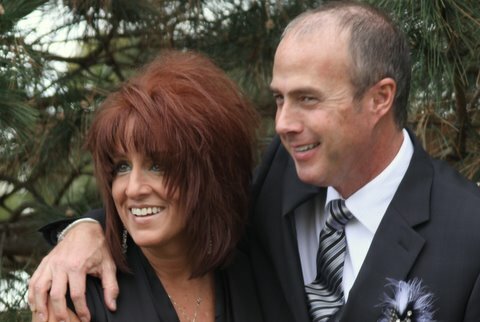 Convoy of Hope is encouraging individuals to designate ONE DAY’S WAGE to feed the hungry and share the love of Jesus. Every dollar contributed is multiplied to provide up to $10 worth of food and supplies. 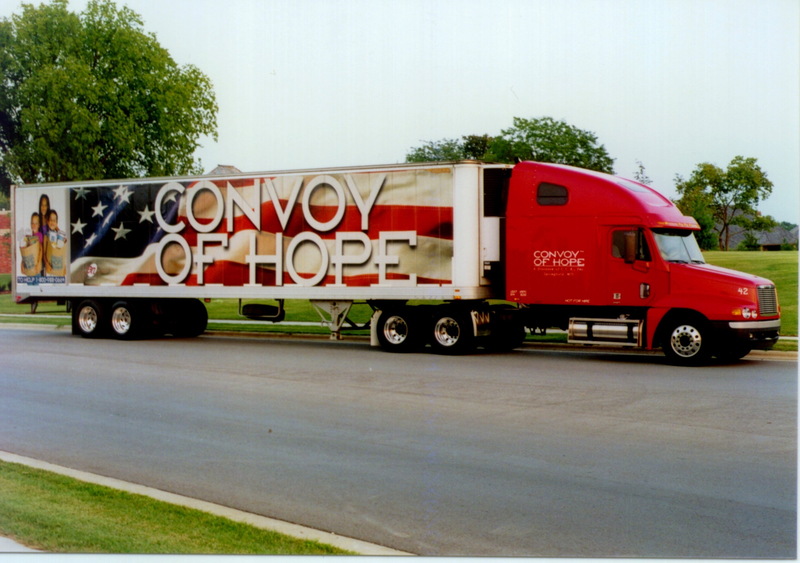 Yes, let me say that again… Convoy of Hope turns every $1 that is donated into $10 worth of food and supplies. Now there is a return on your investment! Aid is delivered through children’s feeding programs, outreaches, disaster relief and more. $25 can feed a family for a month …$300 can provide one ton of food and supplies. Can you afford to donate ONE Day’s wages to Feed the World? Well you know me…It’s all about the Cause! If it’s not getting shoes for kids who have none…it’s all about Convoy of Hope! …and yes, this is all about Convoy of Hope in Tennessee after debilitating flooding they endured this week. Four Convoy of Hope tractor-trailers filled with food and water arrived in Nashville, Tenn., yesterday [May 5, 2010] where floods from recent rains killed several people and caused tens of millions of dollars worth of damage. According to Kingsland, Convoy of Hope will have four mobile distribution sites up and running by this evening. From those sites, teams will take food, water and supplies door-to-door in communities in and around Nashville that were flooded. Your secure online donation can help these communities recover. Earlier this week assessment teams from Convoy of Hope were in Tennessee to discern how the organization could most effectively help flooding victims. To start, Convoy of Hope will be working in Goodlettsville, Madison and Bellevue. “We’re equipping volunteers with the tools and supplies they need to help those families whose homes and businesses were flooded,” adds Kingsland.